After a long cold winter our studio is ready to spring their new artwork out into the world. 28 diverse and talented artists will be featured in the show. Come and admire the originality and creative spirit of our community. The show will be held in the welcoming atmosphere of Saint Mark Presbyterian Church in the Fellowship Hall located at 10701 Old Georgetown Road North Bethesda, Maryland 20852. All ages are invited, the event is open to the public and light refreshments will be served. Weekday hours : Monday through Friday from 10 am to 4 pm. 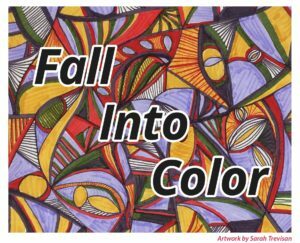 Reception: Sunday September 10th 2017 from 1:00 to 3:00 p.m.
Fall into Color is a brand new art exhibition featuring artwork from the artists of Studio In-Sight. The theme is color so be prepared to experience hue, value and chroma from many different points of view. Cornerstone Montgomery and the artists of Studio In-Sight present Hotter Than July. 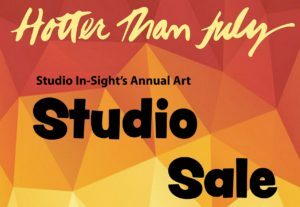 Studio In-Sight’s annual art studio sale. Selected works will be sold at discount prices. The exhibition runs from July 2nd through July 30th 2017. It’s time for Cornerstone Montgomery’s annual juried invitational exhibition. Come out to see a wonderful mix of art and styles from 5 different arts organizations in the area. Opening Reception will be held on Sunday March 5th from 1 to 3 pm at the Personal Visions gallery in Dennis and Phillip Ratner Museum, located at 10001 Old Georgetown rd. Bethesda, Maryland 20814. 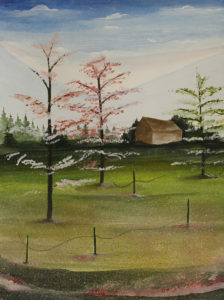 “Harvest” is Studio In-Sight’s yearly studio sale where artwork has been discounted by the artists themselves. 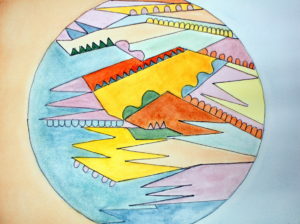 We hope to make space in the studio and find new homes for some really great artwork. Join us on Sunday September 18th from 1 to 3 pm for our reception. Lite fare and refreshments will be served. The exhibition runs through October 26th in the Personal Vision Gallery in the Dennis and Phil Ratner Museum. 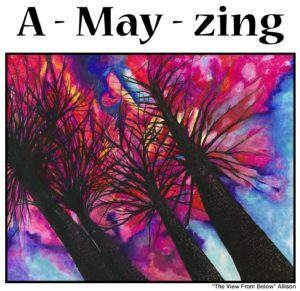 Saint Mark Presbyterian Church welcomes the artists of Studio In-Sight to kick off the “Grand Opening” of their new gallery space in the Fellowship Hall. This show will feature a carefully curated selection of artwork from Studio In-Sight. 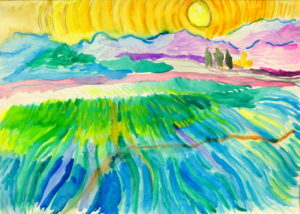 Join us for “Art Speaks our minds” an exhibition from the artists of Create Arts Center’s Studio Downstairs program. Opening Reception May 1st from 1 to 3 pm. Event is open and free to the public and lite refreshments will be served. 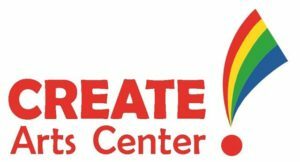 Art Enables welcomes Cornerstone Montgomery’s Studio In-Sight artists Amethyst Moira Garvey and Robb Williams in the Off-Rhode Gallery. The show, a part of the Double Visions exhibition called “Words Worth”, explores the use of text in art. Join us for the opening reception on February 13th where artist Jenny Walton will be leading a relief print making workshop. 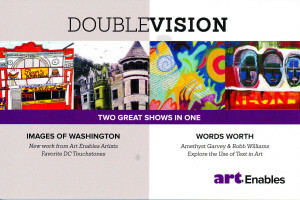 Art Enables artists will be exhibiting works of art inspired by D.C. touchstones called “Images of Washington”. This coming January we welcome a new exhibit from the artists’s of Studio In-Sight. 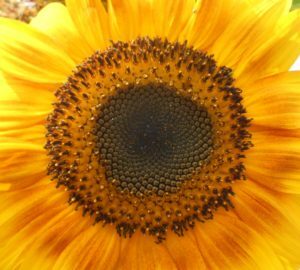 We will be reflecting on the year that has passed and projecting into possibilities for the new year. Join us on Sunday January 10th from 1:00 to 3:00 pm at The Ratner Museum for our opening reception. The event is free and open to the public. Light fare and drinks will be served. Opening reception on March 6th from 1 to 3 p.m.
Every year we look forward to hosting gifted artists from other art programs in the area. Join us on March 6th 2016 from 1 to 3 pm for our opening reception. Several participating artists will be present to talk about their work and refreshments will be served. Please join us at The Personal Visions Gallery in the Phillip and Denis Ratner Museum for an exhibition of artwork from Cornerstone Montgomery’s Studio Insight artists. 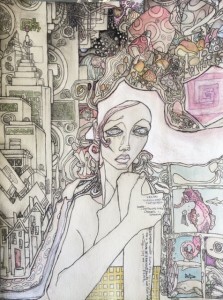 DIALOGUE: A Visual Conversation is a collection of visual arts – paintings, photographs, digital images and more – resulting from an unusual collaboration between professional artists in the Washington area, and artists receiving mental health treatment from Cornerstone Montgomery. 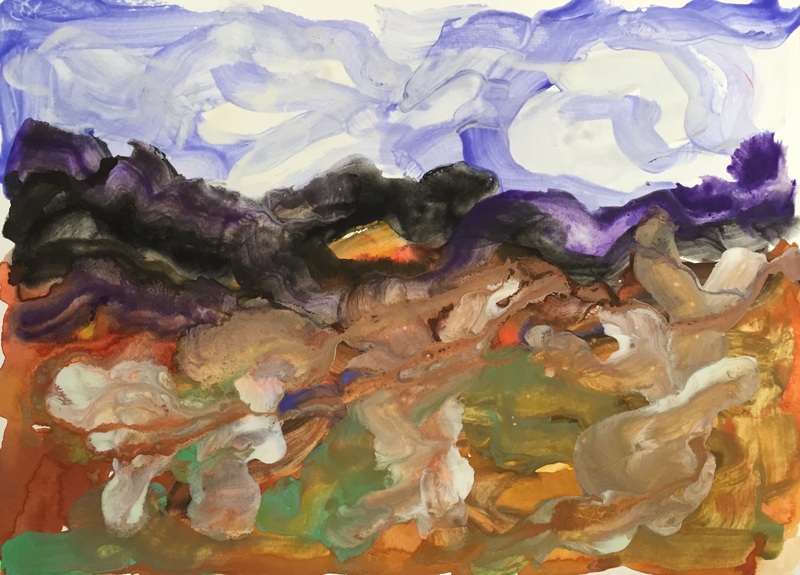 The art that emerged from the DIALOGUE will be exhibited at the Personal Visions Gallery at the Dennis and Phillip Ratner Museum in Bethesda, Maryland. The public is invited, without charge, to attend the opening reception on Sunday, November 6, from 2:00-4:00 p.m. Guests can engage with the artists, and purchase works created from DIALOGUE. Show runs from October 30th through January 4th, 2017.